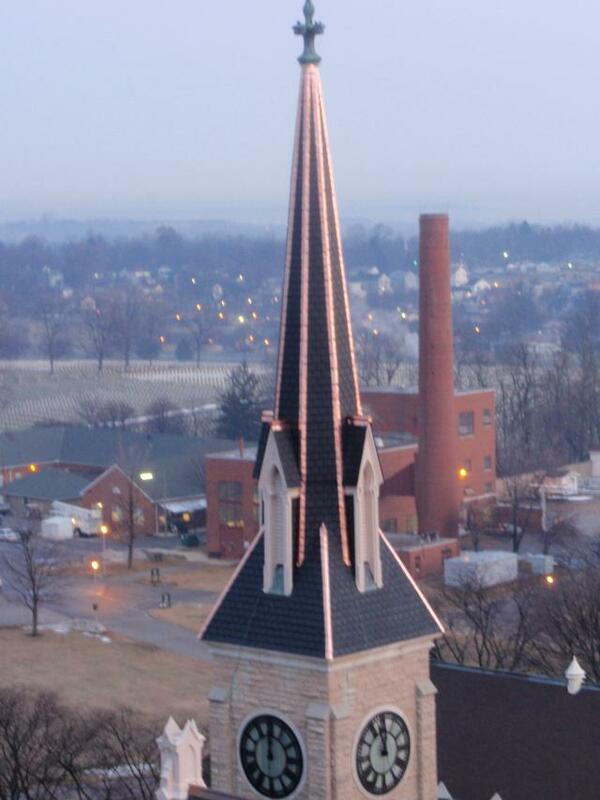 Almost 140 years after it was built, the chapel at the Dayton Veterans Administration Medical Center in Ohio needed a new roof. The original roof, constructed out of slate, boasted a large cross with a star-studded border in light colors on the background of black slate. The current roof structure of the chapel couldn't support the weight of real slate, so DaVinci Roofscapes synthetic slate shingles were specified. 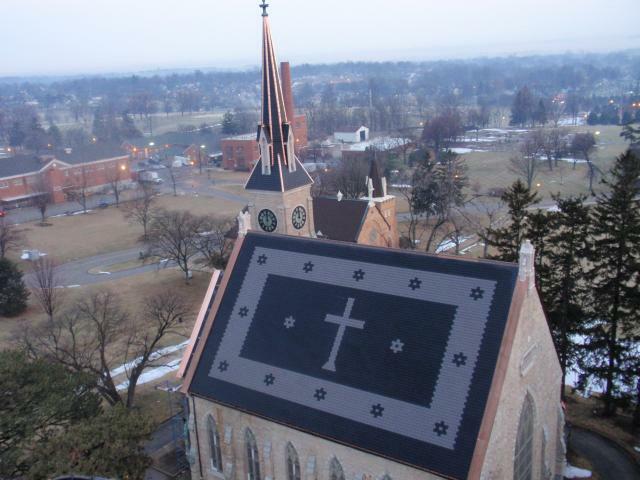 Twenty-seven squares of medium tan imitation slate tiles and 67 squares of black composite slate tiles were ordered by Detroit Cornice and Slate Company in Michigan to complete both sides of the roof plus the steeple and vestibules. sizes to come as close as possible to creating the cross while maintaining the warranty. A chalk outline of the pattern was sketched on the roofing felt for the installation crews to follow. According to Hesse, another big challenge facing the team on the chapel project was gaining a full understanding of the roof’s original design. To see another DaVinci project where lightweight roofing tiles offered a solution to a problem, visit SRA Architects Specify DaVinci Polymer Roof for New LeConte Center at Pigeon Forge.